The Trump project is located on Shanton Ditch north of Pierceton and east of SR 13 in Kosciusko County. This stream flows to Pierceton Lake which then flows to Ridinger Lake. 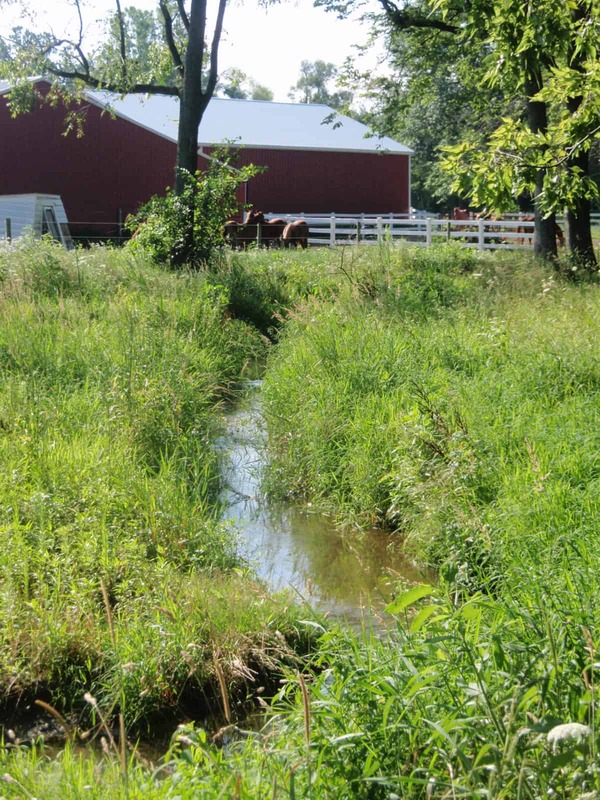 Many conservation improvements have been put in place on this property over the years to reduce sediments and nutrients from livestock and agricultural runoff, but the banks of Shanton Ditch were eroding. This TWF project stabilized 1750 feet of streambanks with a 2-stage ditch, constructed a wetland, and establish a 30 foot wide buffer of native vegetation. These improvements reduced nutrient and sediment inputs to Shanton Ditch and downstream waterbodies including Ridinger, the Barbee Chain and Lake Tippecanoe. Copyright © 2019, The Watershed Foundation, All Rights Reserved.